Whether you do residential or commercial builds, the client / architect relationship is highly personal. It’s almost a bit like dating - you see someone’s building across a room and BOOM, you know it. They are THE ONE. This is why your potential clients spend many weeks perusing architecture books, magazines and blogs - they are looking for ideas for their own projects, and for the person who is going to bring their ideas to fruition. Getting your architectural work into magazines, books and blogs is an important part of marketing your firm. Not only does being published help to raise your profile, but it puts your work immediately in front of the people who are looking to hire you. But how do you get your work published? Where do you even begin? Every week, architectural magazines such as BD receive HUNDREDS of pitches of projects for inclusion in their magazine. Of course they can’t feature - or even read - them all. But here’s the thing - if you’re not even pitching your project to publications, your chances of being featured are practically zero. Of course, there’s always the possibility that the BD editor just happens to be driving through the countryside wondering how on earth he’s going to find the perfect modern farmhouse design for his cover story and he just HAPPENS to drive past that modern farmhouse you designed last year and just HAPPENS to think it’s so perfect he drives up to the front door and begs the owners for the name of the architect. But usually, a publication will pick featured projects from the pile of projects already submitted. So if you want to get featured, you’ll need to make sure your projects are a) in that pile and b) going to stand out from the crowd. So, how do you get your architecture projects featured in magazines and on blogs? 1. Create a Project Page on Your Website. 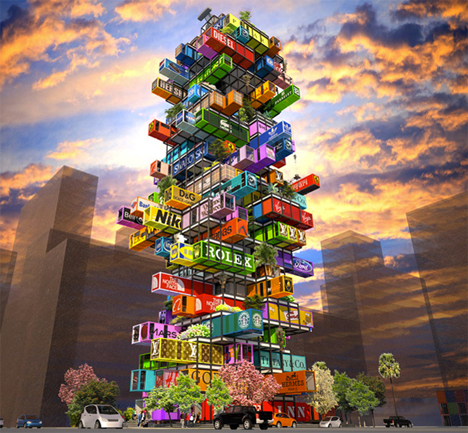 Hive-Inn, a concept hotel by OVA Studio, is built from shipping containers. Got a project that you’re proud of? Well, no one else will know it exists if you don’t create a profile about it first. All your best projects should go on your website. Every project you feature helps to sell your strengths to prospective clients. And when a magazine is looking to feature you, where is the first place they will look? Why, on your website, of course. What should a project page include? details about the materials used. Information about the brief - what did the client want. What were the parameters of the project? What were the difficult features of the project / site? What considerations did you need to make? What made the project unusual / special / different? How does the project sit in the wider context of the area / the client’s business / architecture in general? Cymon Allfrey Architects, an award-winning Christchurch firm, have some great examples of project pages on their site. 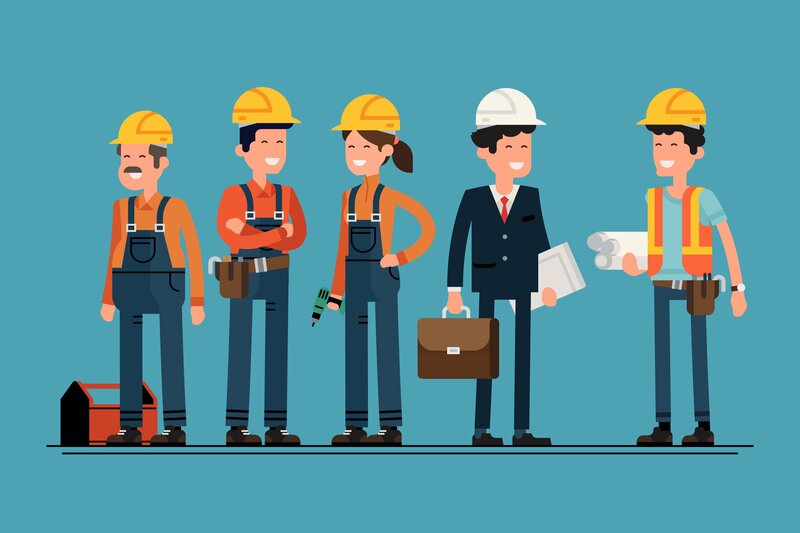 Not only do these pages give important insights for potential clients, but they also provide all the details a writer would need to create a feature about a project. 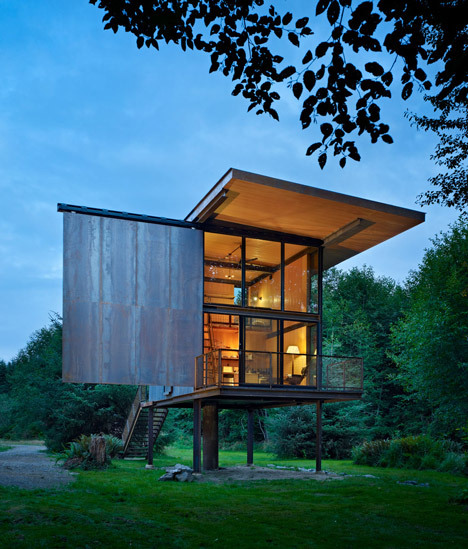 Sol Duc Cabin by Olson Kundig Architects is able to be closed off with steel shutters to create a kind of cosy apocalyptic bunker. Editors for architectural publications are primarily visual people. They sell their publications based on how awesome the images are. And those images are supplied by you - the architect. The single biggest factor that determines whether or not your project is featured is the photography. Good photographs will also have the biggest impact on your site - so it is imperative that you get some professional shots done for each property you want to feature. Mark over on Entre-Archictect recommends getting a professional in once a year to shoot all your projects in a day - this will cut down on costs over doing each property individually. Every project has a story, and you are the narrator. After the beautiful photographs, what’s going to sell your project to a publication is it’s unique angle, it’s individual story. Use the text not just to give details about the build, but to talk about it’s unique features. Is the home designed to incorporate wheelchair-friendly features for the disabled owner? Is the high-density development completely self-sufficient? Have you just completed a commercial warehouse for a film prop company? Highlight what makes your project different, so the editor doesn’t have to look for to find the story. You've probably already worked on your story above, when you created project pages on your website. But now it's time to go back and tweak that story futher. Really make the unique aspects of your project stand out. You aren't just using your story for your webiste - it forms the basis of your pitch to magazine/blog editors. 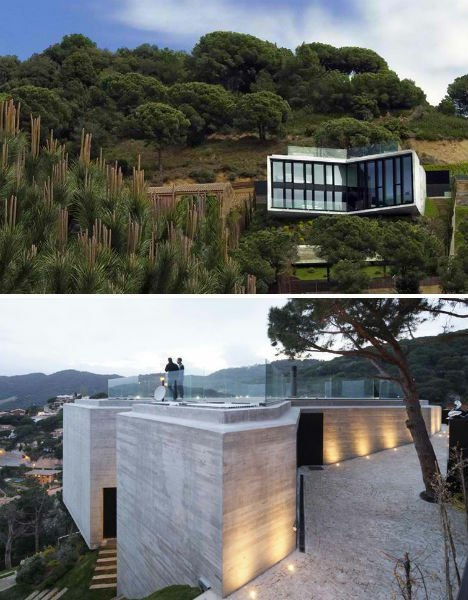 Cadaval & Solá-Morales architects created a two-story, X-shaped residence that clings to this cliff. What publications do you want to be featured in? A good thing to do is create a file on your computer where you write down all the details of architectural publications, blogs, websites and TV programmes you’d like to feature in. Google terms like "architecture magazine", "architecture blog", etc, to find new websites. Hunt through the racks at a magazine store. Visit the magazine section at your library. Browse blog directories, such as Bloglovin. When I create a PR contact list, I will include the company’s name, the name of the editor, the date I made the entry (because editors will also change frequently), the contact details of the magazine (email being the most important, because most contact is made by email these days) and the social media pages of the editors, if they’ve made available. Why the social media pages? Well, you can go through your list and follow and engage with some of the editors on Twitter or Google+. Talk to them about their magazines and architecture in general, and be the first to respond when they need some help. Editors often post calls for submissions, and connecting with them via social media can be a great way to get your foot in the door for a feature. BD - they have different article types (news items, first look, technical study, building study) so you’ll need to figure out where your piece will fit. 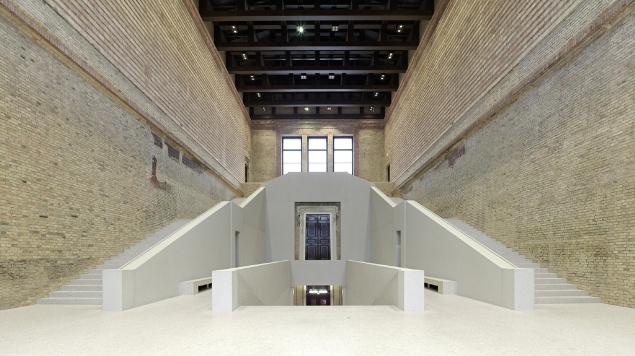 Dezeen - They like plans, sections, elevations and drawings with projects. Architectural Record - Projects must be current or recently completed. If you want to submit a project for the monthly “Building Types” feature, then read the editorial calendar carefully and ensure you send your project in for the correct month. I would also include a few sentences describing what each magazine is looking for. Have a look through previous copies of each magazine or through the website archives, and note the types of projects they tend to place. Are they looking for larger-scale industrial project? Projects with a connection to a certain area? Bold and modern architectural design? Eco-conscious properties? Design for high-budget consumers? Figure out what the market is, so that you can decide the most appropriate design to pitch. 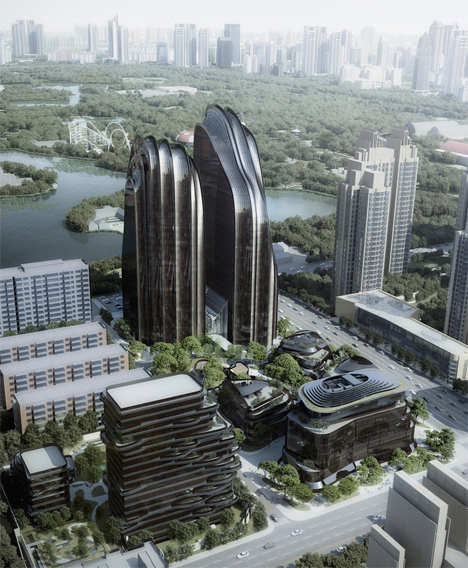 MAD Architects’ Chaoyang Park Plaza's gleaming black spires are inspired by mountains and other spaces used in Chinese paintings. Now that all the elements are in place and you have a list of potential magazines to target, it’s time to write your pitch. Take that story you’ve written, and expand that into a personal, sincere email. Introduce yourself, describe the project, and point the editor to the page on your website for more work. I also recommend opening with a short personal paragraph, where you briefly explain your personal story, tell the editor how much you enjoy their magazine and mention a particular series / piece that held your interest. Common materials used in a unique way. Extremely large or extremely small buildings. Extremely large or extremely small budgets. Buildings that relate to major news stories. Buildings that will have a significant impact on a large group of people. Buildings that have unusual design or unique features. (This is, of course, subjective). Projects associated with famous or infamous architects, personalities, or designers. Architecture designed by unique and interesting personalities. I recommend pitching only one project to the editor at a time. The project you pitch will depend on what you feel is your strongest work, but also the style or type of building the magazine is looking for. For example, you might send a quirky urban project to Weburbanist, and a historic home rennovation to a local history magazine. Most major magazines will request exclusivity, so choose the project wisely. It’s a good idea not to send the same project to two different publications - wait til you hear if it’s been rejected or accepted before you move on. Print magazines have a long lead time, so they will often want to hear about projects when they are in their planning or consent stages. 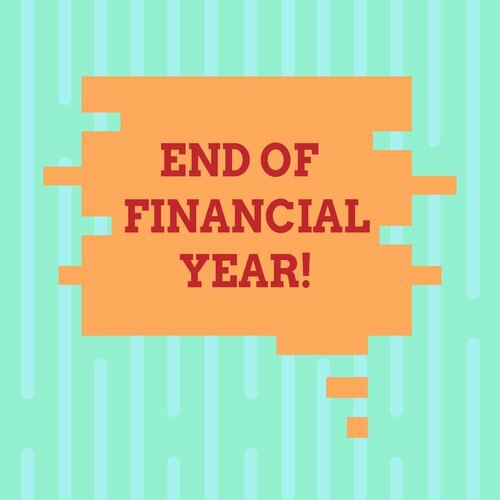 Blogs, however, can be more immediate when it comes to publishing, and might be more interested in finished projects. 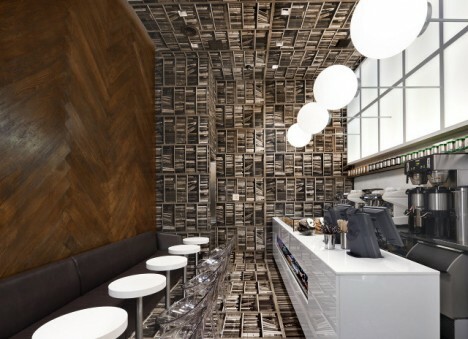 Cafe design by by Nemaworkshop, “a team of architects, designers and creative thinkers. Another great way to raise your profile in the architecture community is to actually become a content producer yourself. You can, of course, get your name out there in other ways. Offer to write an article for the magazine, or create a cool list piece for the blog. Now you can add “writer for Famous Architecture Website” to your bio. 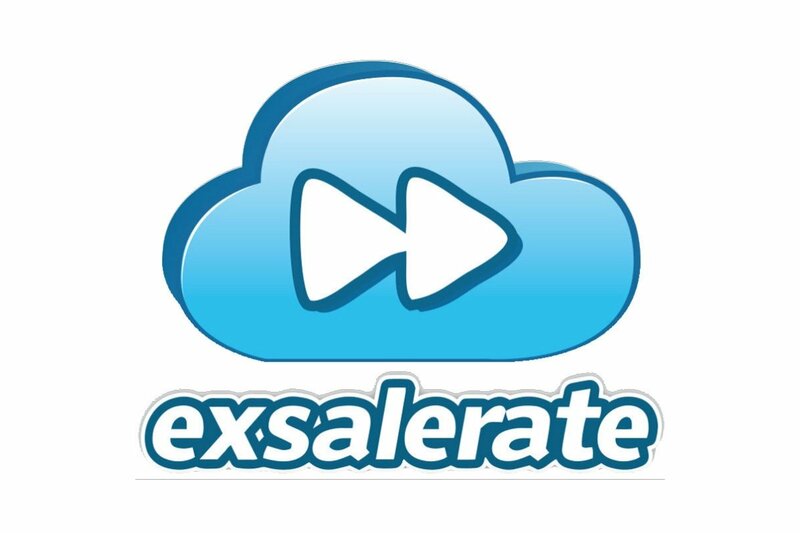 This helps to establish you as an industry expert and grow your firm’s reach. Keep writing pieces and submitting your projects, and eventually your work will be accepted, simply because you’re always on the editor’s radar. 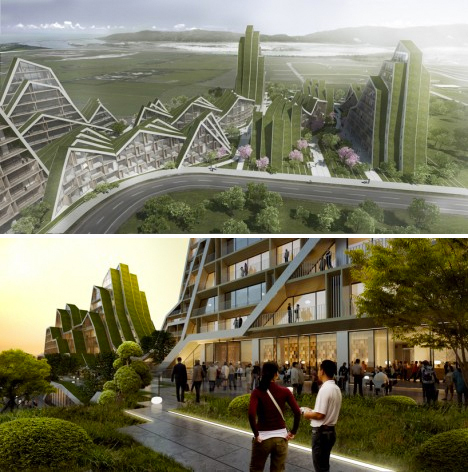 The Bjarke Ingels Group created this mountain-inspired mixed-use complex complete with walkable green roofs. Contests are another great way to gain exposure as an architect. Of course, it’s always even more of a lottery than the general magazine submission queue, but winning can really put your name on the map. We’re already written an in-depth article on how to apply for design competitions, which includes a huge list of competitions to enter. What are you waiting for? 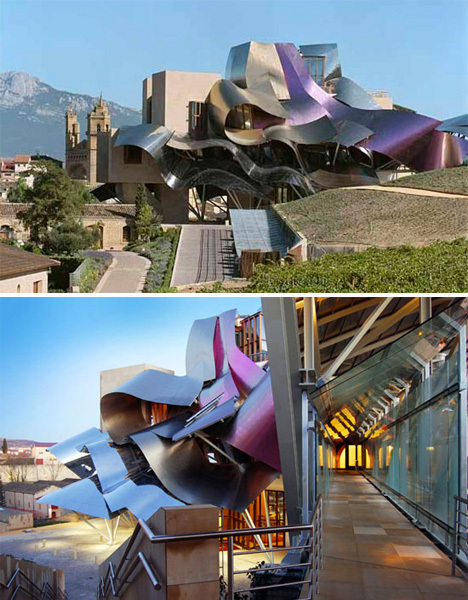 The City of Wine complex for the Marques de Riscal Winery in Elciego, northern Spain by Frank Gehry. You don’t need the validation of magazines and blogs to share your projects with the world. Create social media platforms and share links to your website projects, as well as other projects you find inspiring. Editors, bloggers and other influencers are on Facebook, Twitter, Houzz, Instagram and other sites, and they are always intrigued by new ideas. So get your work out there - you never know who is watching! Getting your work featured in blogs and magazines is definitely an ongoing marketing job. But it's an important one if you hope to raise your profile and land bigger and better clients. The key when pitching your projects is to remember to focus on story - what makes your building different from others. Get the story right, and - just like Stephen King - fame and fortune will follow.